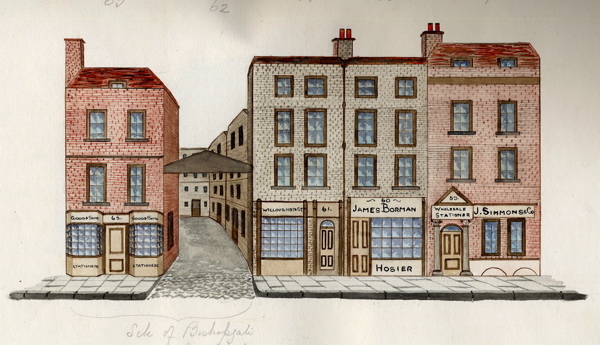 Before anyone ever dreamed of Google’s Street Views, there were Tallis’s London Street Views of the eighteen thirties, “to assist strangers visiting the Metropolis through all its mazes without a guide.” John Tallis created the precedent for a map which included pictures of all the buildings as a visual aid, commissioning the unfortunately named artist Charles Bigot to do the drawings and writer William Gaspey to create the accompanying text. 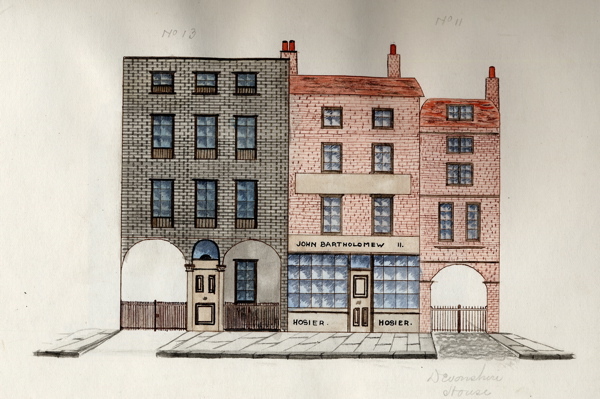 Tallis had his imitators, evidenced by this beautiful set of anonymous watercolours of every single facade in Bishopsgate, Spitalfields, dated to 1838 and preserved in the archive at the Bishopsgate Institute. There is an infantile obsessive quality to these extraordinary paintings that drew my attention when I first came upon them, the degree of control and attention to detail in creating such perfect representations of the world is awe-inspiring. While there is a touching amateurism to the quality of the brushwork and lettering that recalls folk or outsider art, I cannot deny the attraction of the desire to record every facet of the world – because there is a strange reassurance to be gained from looking at these weird yet neat little pictures. They remind me of the idealised visualisations created for buildings that are yet to be built, in which the less salubrious elements, not just the dog mess and litter but sometimes even the people, are excluded in images designed to endear us to the visionary proposals of architects and planners. 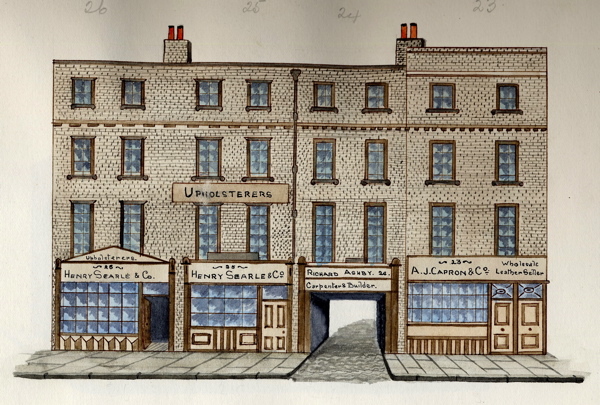 Although these views of Bishopsgate advertise their veracity by recording every single brick, I cannot believe it actually looked like this because the buildings are uniformly clean and well maintained, lacking any wear and tear. You cannot imagine John Thomas Smith’s Vagabondia of 1817 walking down Bishopsgate as it is portrayed in these immaculate representations. 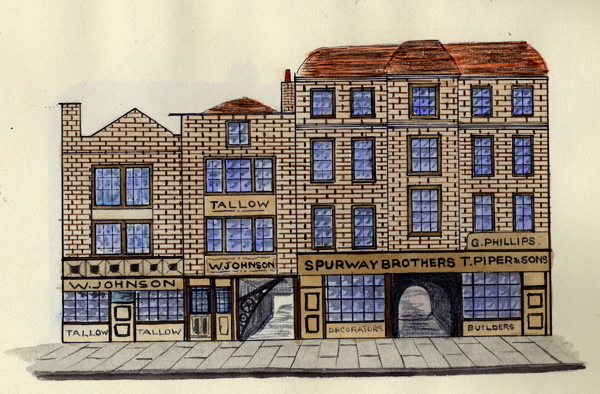 In contrast to the distorted chaotic nature of Google Street Views that record our contemporary cityscapes, there is a comic flatness in these drawings that are more reminiscent of street scenes in toy theatres and the houses you find on model railway layouts, tempting me to paste them onto matchboxes and create my own personal Bishopsgate. 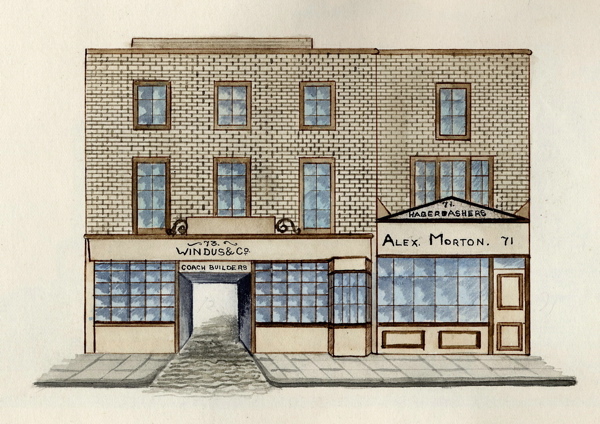 They are innocent of all the complex poetry and patina of Alan Dein’s East End Shopfronts of 1989. Neat, tidy and eminently respectable, the early nineteenth century society envisioned by these innocuous facades is that of Adam Smith’s “nation of shopkeepers,” family businesses like that of Timothy Marr, the linen draper who opened up half a mile away upon the Ratcliffe Highway in 18o8 and came to such a terrible end in 1811. 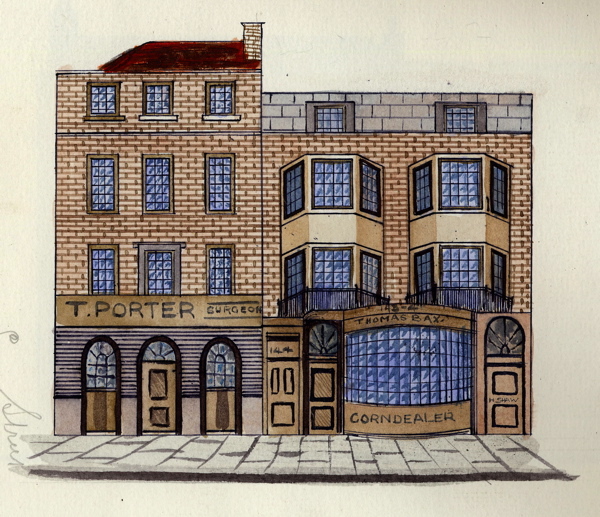 Yet although Bishopsgate itself is unrecognisably altered from the time of these drawings, the proportion of the buildings, providing a shop on the ground floor, with family accommodation and sometimes workshops above, is still familiar in Spitalfields today. And the two stocks of brick used, red brick and the London yellow brick remain the predominant colours over one hundred and fifty years later. 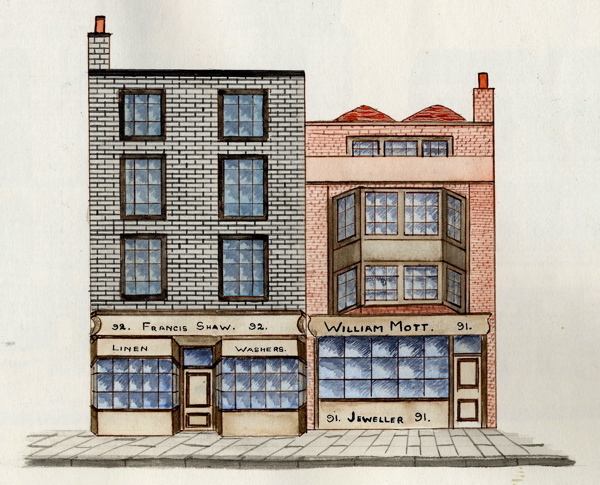 Sir Paul Pindar’s House, illustrated in the penultimate plate, is the lone survivor from the time before the fire of London when Spitalfields was a suburb where aristocrats had their country residences, including Elizabeth and Essex who once had houses on Petticoat Lane. 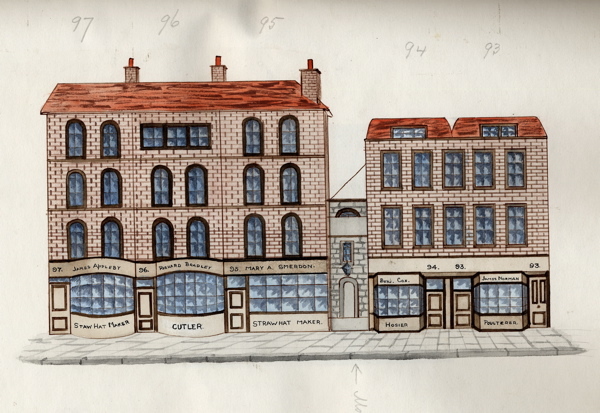 Today the frontage of Sir Paul Pindar’s House can be viewed at the Victoria & Albert Museum where it was moved in 1890. Named Ermine St by the Romans, for centuries Bishopsgate was the major approach to the City of London from the North leading straight down to London Bridge, and the Saddler & Harness Makers and Coach Builders present in the street reflect the nature of this location as a point of arrival and departure. 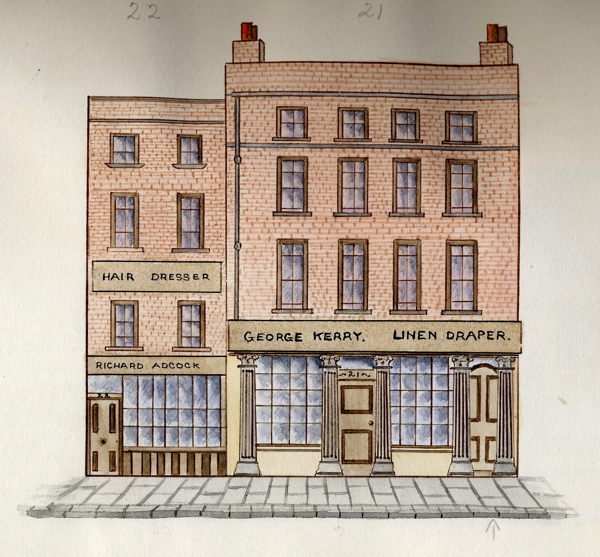 There are some age-old trades recorded in these pictures that survived in Spitalfields until recent times, Upholsters, Umbrella Makers and Leatherworkers, while the Straw Hat Makers, Cutlers, Dyers, Tallow Sellers and Corn Dealers went long ago. Yet we still have plenty of Hair Dressers today, though I feel the lack of a Fishmonger and a Butcher sorely. Let me admit, my favourite business here is Mr Waterworth, the Plumber. He could become a credible addition to a set of Happy Families, along with all his little squirts. 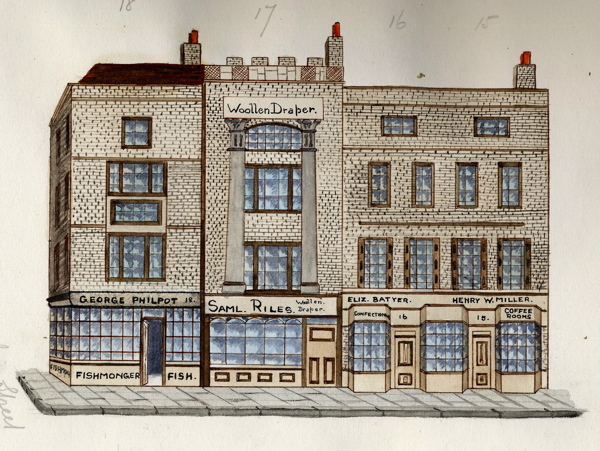 You can see the frontage of Sir Paul Pindar’s House today at the Victoria & Albert Museum. I really enjoy reading this blog – your interest, love and dedication to your chosen subject is astonishing. 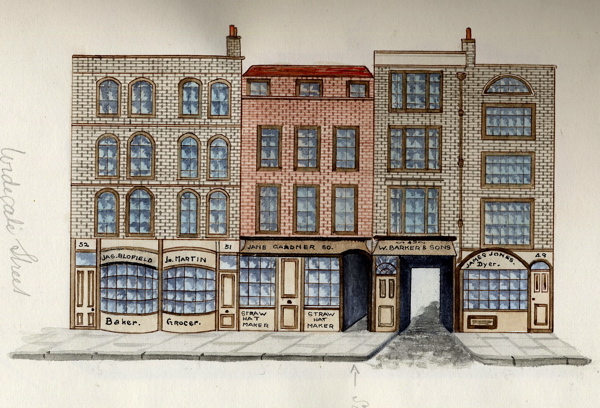 You drew one’s attention to the different types of the beautiful traditional London Brickwork. 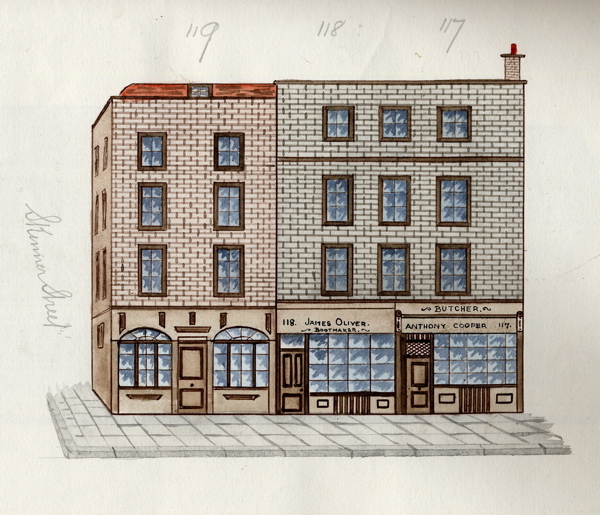 The original ‘London reds’ and yellow bricks are often coveted by to-day’s builders when refurbishing buildings because they can be very hard to find and buy. 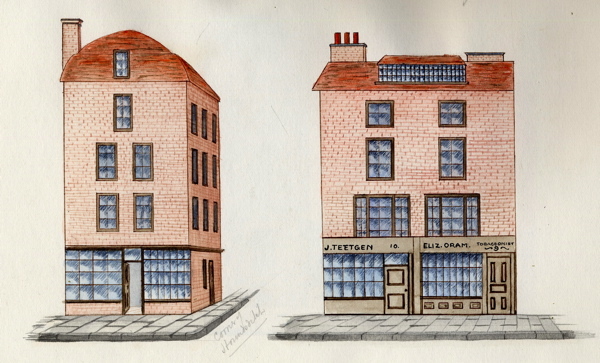 Brickwork walls, although appearing to be solid, (there was no such a concept as a cavity wall in the days of yore), were in fact made of two skins, The best quality bricks were laid on the outer skin and the broken and ‘snapped’ ones on the inside. Hence in the case of bowed walls, different profiles can be observed between the inner and outer faces as there was little or no tying between them. I am enjoying reading your posts. Many thanks for the Bengali stories, an interesting read. I think you’re creating a wonderful “Cultural Anthropology” file on Spitalfields – long may it continue. I would love to see what buildings correspond to these on to-day’s Bishops-gate for comparison. Fascinating as ever. 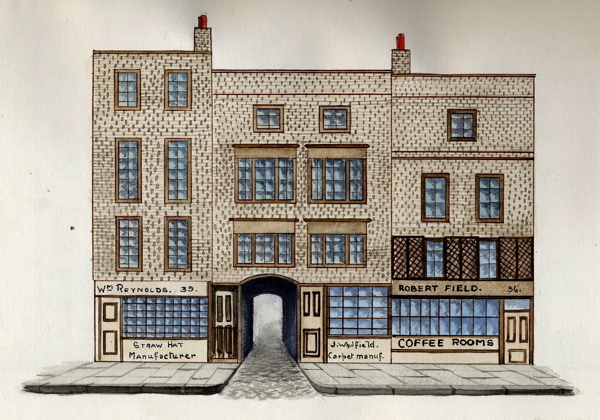 Living in Western Australia but from the Midlands via London, I love your little pictures of Spitalfields life. 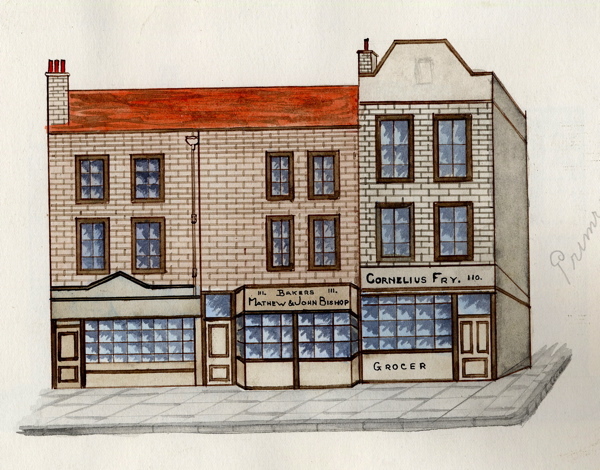 An ancestor ran a Botanical Herb Warehouse in Union St East (Brushfield St) in the 1830s, her husband was a dyer/silk manufacturer.. do you know anything of herbalists around that time? I’m still trawling through all your vignettes of life there, it’ll take me forever! Thanks … this is lovely! I LOVE all your emails of the East End – I imagine my father’s upbringing there and it is like a step in the past brought to everyone by your ingenuity! Thank you Gentle Author! I am in the process of downsizing and am reluctantly selling off some of the vintage artwork that I own. 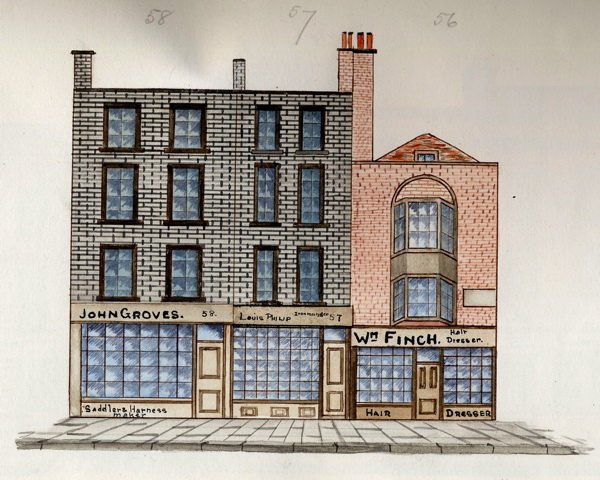 I have a extremely fine ORIGINAL copy of John Tallis’s Street Views of London, featuring Regent Street, Regent Circus, Langham Place, and illustration of All-Souls’ Church (No. 16). I purchased it already framed, with the accompanying pamplet attached on rear in glassine envelope. Please contact me if you are interested in purchasing and I will send several photographs. Thank you for your consideration. 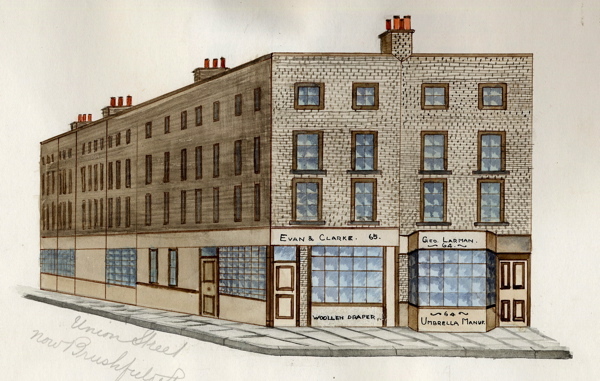 Any record of a Lion Street in Bishopgate in 1861 (as found in a census record) – was it perhaps demolished in the late 1860s/early 1870s to make way for the Liverpool Street Rail Station or the new rail lines connecting it to Shoreditch? 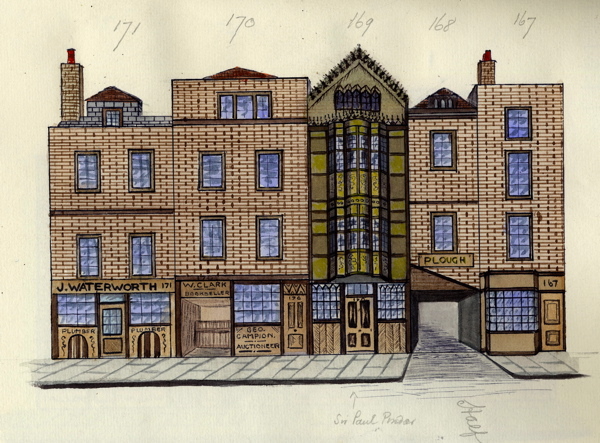 The nearest match I can find is White Lion Street (now named Folgate Street) running East off High Street Shoreditch – but this appears to be a little too far North and hence just outside the Parish of St. Botolph without Bishopgate. Any information gratefully received.